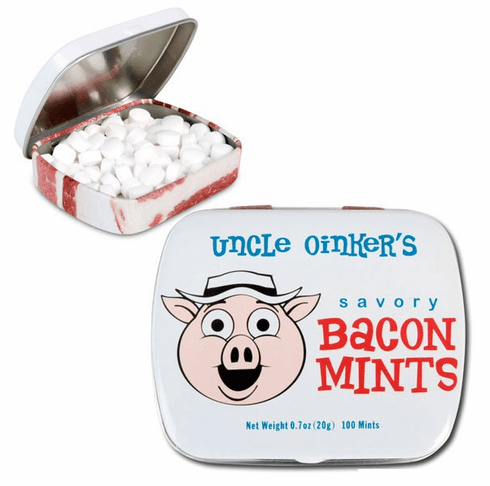 Each one of these mints tastes like a delicious slice of crispy bacon with just a hint of mint flavor to give it that extra punch! It may sound weird but once you taste it, you'll see that mint and bacon is a match made in heaven. Each 2-1/4" x 2" x 1/2" (5.7 cm x 5.1 cm x 1.3 cm) tin contains about one hundred mints.